M.R. Stoner Electric is a full-service residential, commercial, and industrial electrical company serving central North Carolina. Whether you live in Sanford, Cary, Apex, Chapel Hill, Pittsboro, Fayetteville, Southern Pines, or Pinehurst, we are committed to providing excellent service. Our services range from changing a single hard-to-reach 120 volt light bulb to servicing a 4160 volt electrical system. No job is too large or too small for our team of committed professionals. Why Should You Choose the Expert Electricians at M.R. Stoner Electric? Fully Licensed and Insured: Our company is fully licensed and fully insured. We hire qualified, experienced, and professional electricians with excellent work ethics who provide the highest level of customer service. 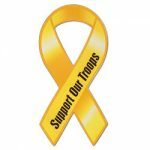 We stand behind all of our work. We arrive at your home in a company van. Our technicians are uniformed with identification. Your safety and comfort is our highest priority. Up-Front Pricing: After our electrician diagnoses your problem, we give you a firm price to complete the repair or installation. 100% Satisfaction Guarantee on labor and materials we provide. If our repair or installation fails in the first year, we do the work again at no charge. No Voice Mail Machine: Our courteous and knowledgeable staff answers every call. Quality Customer Service: We arrive on time and work quietly and efficiently. We are proud to have earned an A+ rating from the local Better Business Bureau, which is their highest-possible rating. Emergency Service: Our electricians are available 24/7 and specialize in storm damage repairs. Locally-Owned and Operated M.R. Stoner Electric is in our 27th year of serving Chatham, Cumberland, Harnett, Lee, Orange, Moore, and Wake counties with pride. Owner Martin R. Stoner has worked in all aspects of residential, commercial, and industrial electrical service for over 40 years. Bucket Truck Services: Our Bucket Truck Services allow us to install and service pole lighting. When we say no job is too small or too large, we really mean it! Call M.R. 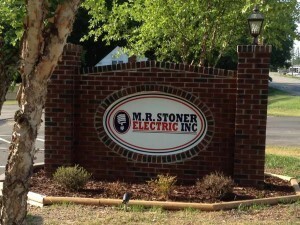 Stoner Electric today at 919-774-8877 for efficient, courteous, and professional service!